Why is my stomach so noisy? Posted October 18, 2017 under Ask Us. 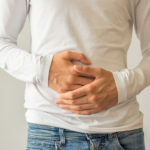 People who have problems such as celiac disease, lactose intolerance (can’t digest dairy products normally) or irritable bowel symptoms are more apt to have gas and bloating. If you notice that your stomach makes more noise after you eat certain kinds of food or you have other symptoms, talk to your HCP.